What a wonderful way to be greeted on your birthday. Since I got so many comments.and a couple with no address I figured a whole blog with Thank Yous would be just as good. Had a wonderful time. My Daughter got up around 5 and caught my neighbor, Patty here talking. She had brought over a card and was helping me fix the size of the lettering on this lap top. I have a cataract which is causing my sight to go bad so have to have larger font. Now on that subject, before I forget it, I was in the Social Security site this morning early and could hardly see the words. Up in the corner it said "for larger words". I clicked and it told me on most computers and Macs to enlarge the letters press CTL and the + until they are large enough for you to read. Sure enough it worked. Did you know that? One good thing the government did. My daughter had come up to take me to dinner. I selected the Olive Garden,We had a new one close to the Mall and I had only been to one years ago in Lexington Ky. on our way west to Colorado. We both had Delicious dinners and were lucky as there were many people waiting for tables. I went in to ask how long, 20-25 min. She had given me the thing to let us know when a table was ready when one of the other waitress said if you want to sit in the bar area it is the same and they are cleaning a table , It's on a first come , first serve . So I went directly to it. No waiting for us. When we were finished she asked about stopping at Joann's so as they were still open at 8:30 she looked around for some material with dice on it. Can't explain what she wanted it for but she has her reasons. She found it plus some with skull and crossbones fabric,for a scarf for her son's costume for the Renn. Fare where he goes with her every weekend and works. in Sept. and Oct. So she was happy. I had also gotten a call from my son in the afternoon. He is coming on the 31 of July for a week. So all in all a very good day. One of my comments that was about the Double Delight quilt I showed blocks for in a couple blogs back, a gal asked where she could find the pattern. Since she didn't have an address that I could email her privately I figured I would tell her this way, Hoping that she reads this blog. 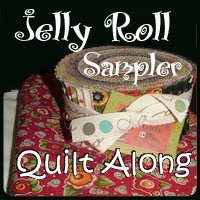 It can be found at http://www.quiltville.com/, Bonnie's website. There should be a link on the sidebar with a picture of the block. You can print it all out. It was presented as a mystery quilt to her followers. She has loads of patterns there using scraps. No pictures today just a lot of talk. You are all so special to me and Thanks for stopping by. Wonderful information on enlarging the font. Thanks. I am so pleased to hear that you had a lovely day yesterday with your daughter. Olive Garden is my son's favorite restuarant- he especially loves the breadsticks and salad. I am sure that you are looking forward to your son's visit too. Hope you are having another nice day. The Lion King was wonderful - I enjoyed the music and the costumes were fabulous. Happy Birthday! I'm glad you had a fun day. And Olive Garden, too! That's my favorite. I did not know that bit of info about enlarging the print. Thank you for sharing it. My DH will appreciate it, too. What are you working on now? I'm sure you have a super special project going. 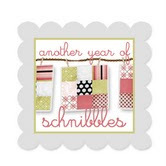 Blessings --now and in the year ahead. Hoping your DH continues to progress. Thinking of you as I get ready to shut down for the night. I am happy that you had a good birthday. You are special! Well, you learn something new every day! I didn't know about the "+" for making the font larger, but you can hold down the control key and move the wheel on the mouse up or down to make the font larger or smaller--same thing. I'm glad you had a wonderful birthday! You deserve it! Happy Belated birthday Eileen!!! So glad to see you today.